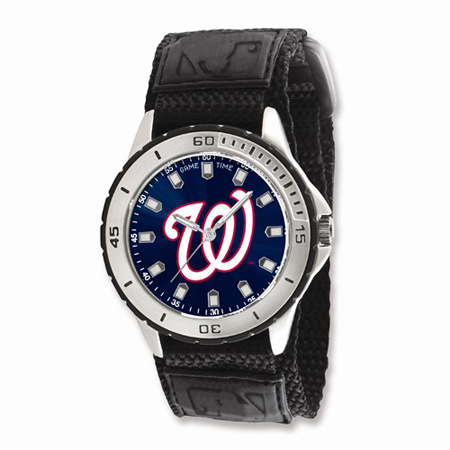 Hey Nats fans don't miss purchasing this official Mineral Crystal Watch of the Washington Nationals. The quartz movement watch metal, with luminous hands, white markers and a nylon mesh velcro band. Order yours today.